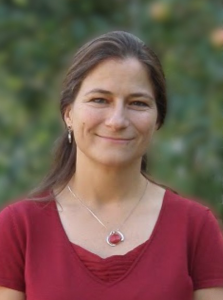 Keli D. Yerian (PhD, MS Linguistics, Georgetown University) has been the Director of the Language Teaching Studies (LTS) Program since 2010, and has been a teacher and teacher educator in Linguistics, Language Education and ESL/EFL for over 20 years. Her research interests are in language and interaction, most specifically in the use of gesture in both L1 and L2 speakers, as well as language teacher education, including the professional development of future language teachers. She has taught ESL/EFL in the US, Europe, and Africa, and has extensive experience teaching in both undergraduate and graduate university programs. Before joining the University of Oregon faculty in 2007, she taught graduate level courses and ran workshops for both students and teachers-in-training at Stanford University. Yerian, K., T. Pashby, A. Mikhaylova, & M. Kato (under review). Native and Non-Native Teacher Candidate Perceptions of Professional Language Development in a TESOL MA Program. Yerian, K. (2013). The Communicative Body in Women’s Self-Defense Courses. In Katz, M., Moving Ideas: Multimodal Learning in Communities and Schools. New York, Peter Lang. "Microteaching for Classroom Management: Impromptu Challenge Workshop" with Laura Holland. TESOL, Seattle, WA. 2017. "The Performative Ring: Semi-conventionalized Gesture as a Resource for Constructing Social Stance and Identity." ISGS (International Society for Gesture Studies), Paris, France, 2016. "Getting a Job: Interactive Online Materials for Language Teacher Graduates." American Council of Foreign Language Teachers (ACTFL) Convention, San Diego, California, 2016. “Differences in Frequency of ‘Ring’ Gesture Use across Experienced and Inexperienced Speakers in Academic English Presentations”. International Society of Gesture Studies, Frankfurt an Oder, Germany, 2010.